In honor of the Cubs winning the World Series (Go, Cubs, Go! 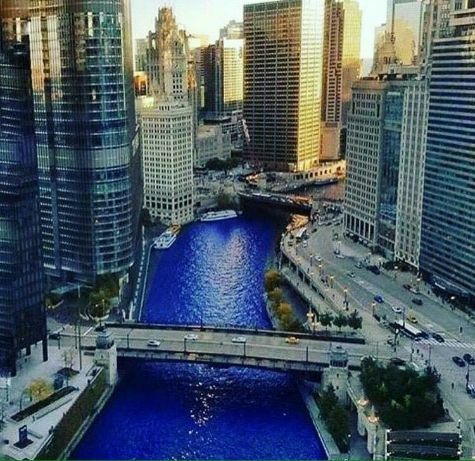 ), the city decided to dye the river blue, in honor of the team and to go along with the celebration festivities that occurred today. It's likely the only time in history that this river has ever looked remotely blue.